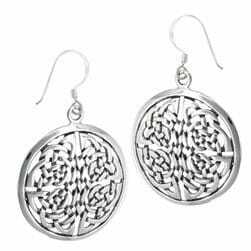 The endless weave of this Celtic knot is symbolic of a love or friendship that has no end. A beautiful symbol to show the depth of your feeling for someone you love. Highly polished Sterling silver.